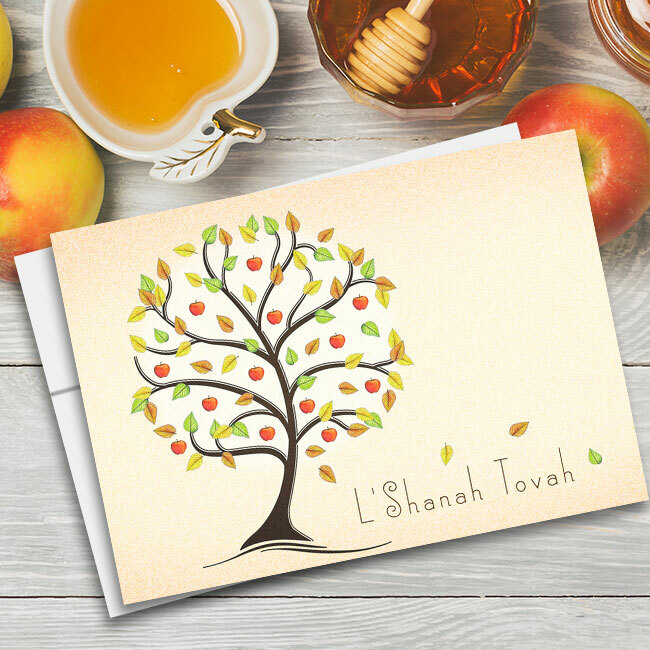 Send your clients and employees a birthday card that looks like it was hand painted just for them! 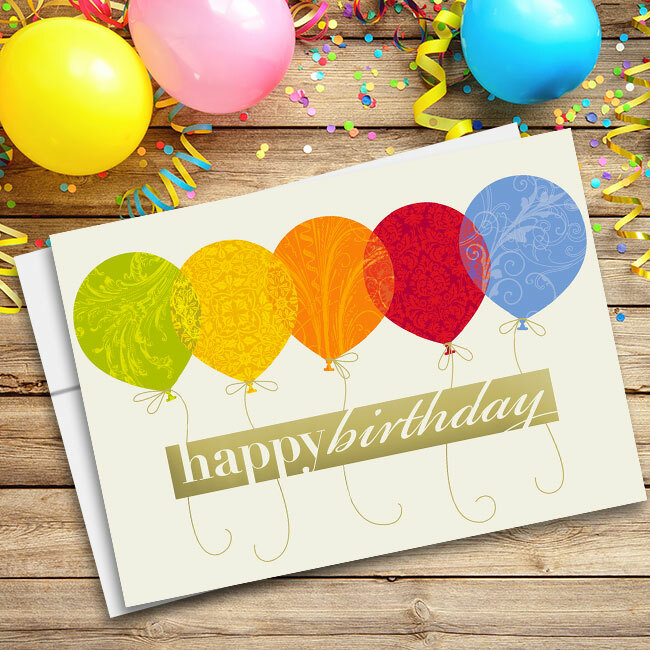 These unique business birthday cards have painted swirls of blue, green, yellow, burgundy, orange, and purple on a white background. 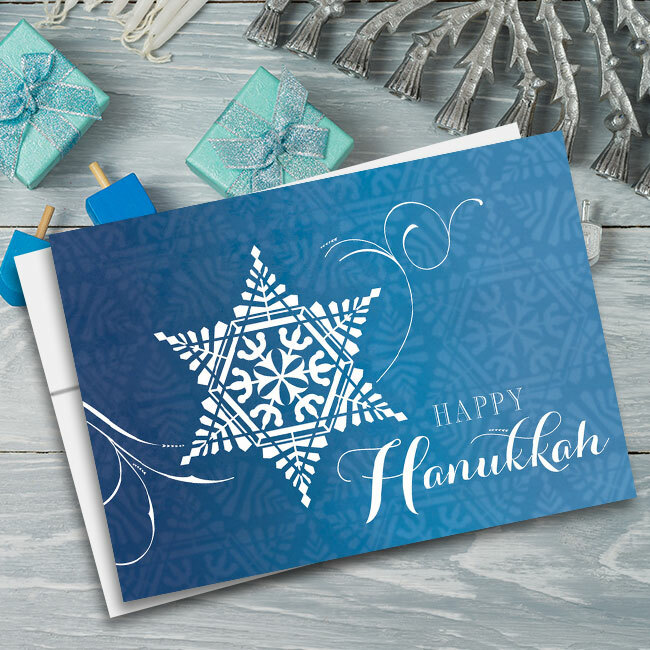 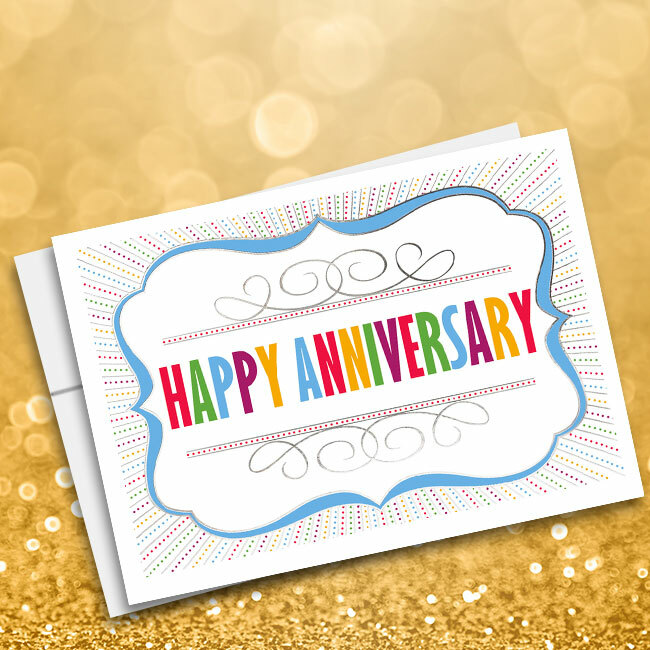 Gold foil swirls are traced over the colorful swirls, and “Happy Birthday” is scripted in a rectangular gold foil box that’s inserted in the middle of the front of the card. 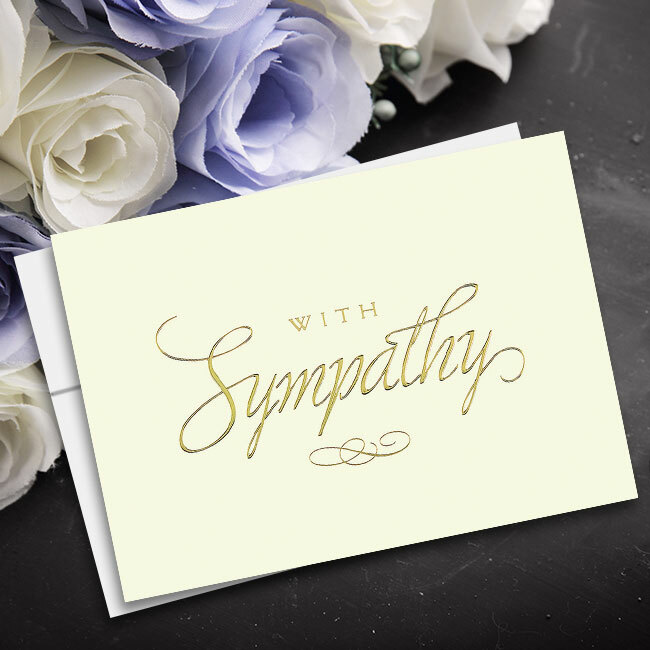 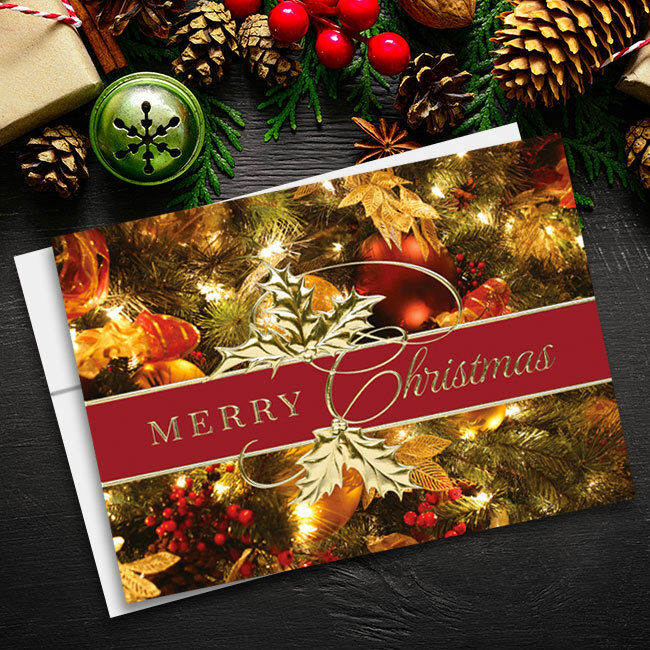 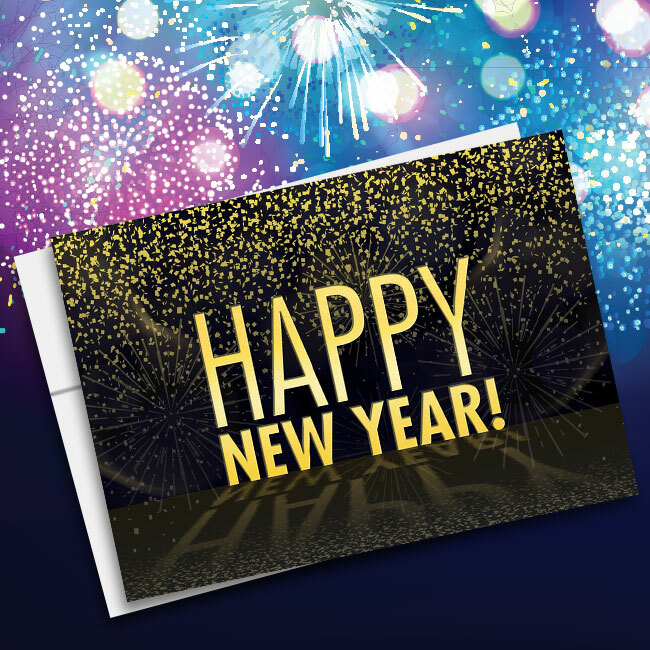 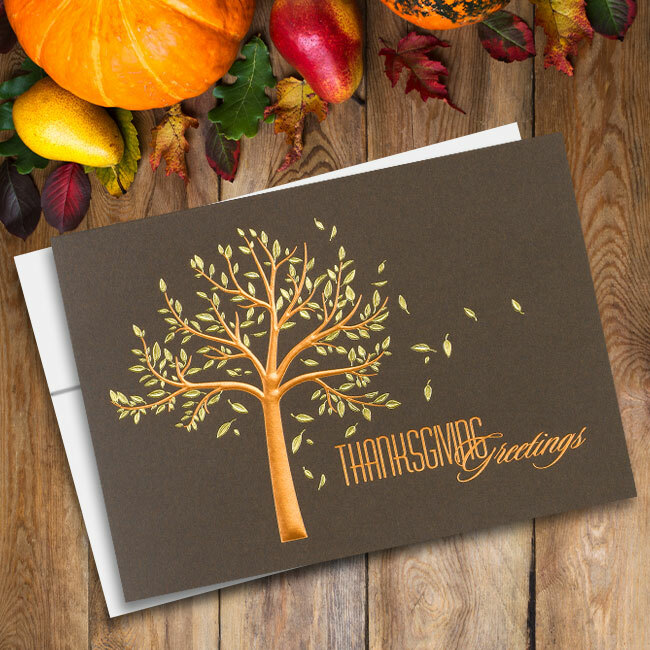 Inside, your standard message or custom personalization completes the greeting. 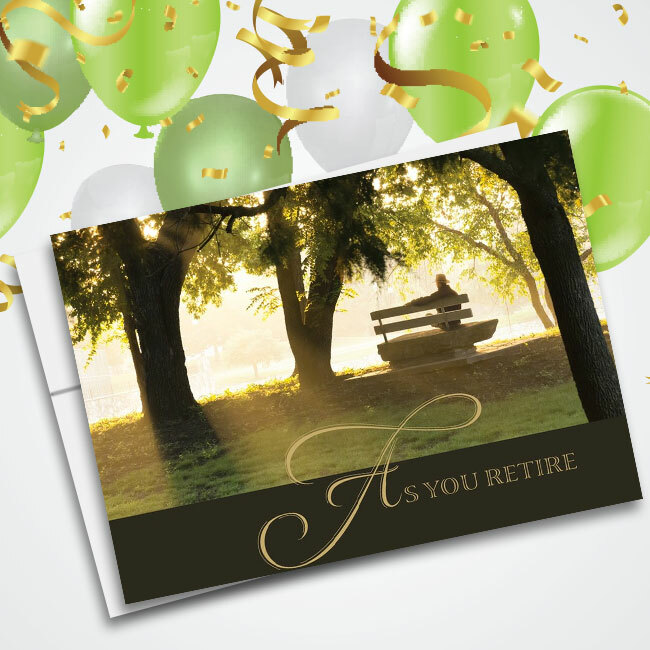 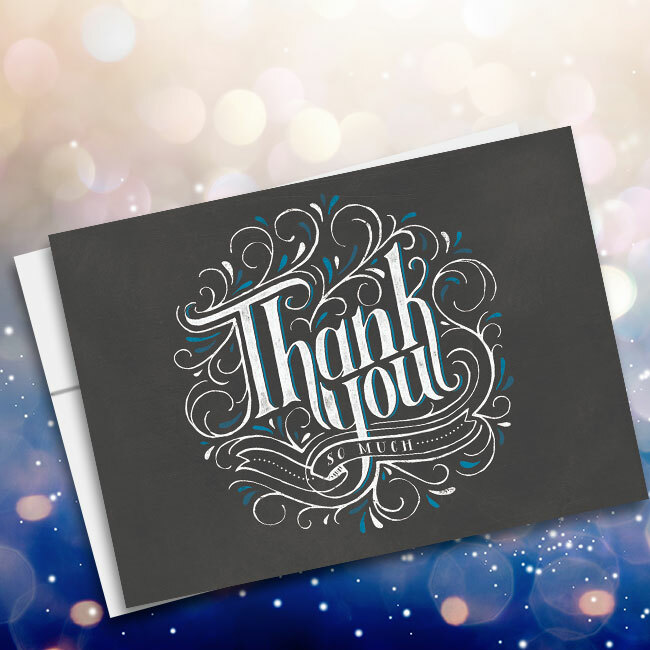 Those who are important to your business will be happy that you remembered their special occasion!